Hollywood observed an important anniversary last week – 75 years of charitable giving under the aegis of the Entertainment Industry Foundation (EIF). Tony and John Goldwyn hosted the 75th anniversary celebration for the Entertainment Industry Foundation, one of Hollywood’s leading charities, which their grandfather Samuel Goldwyn helped found. EIF was founded in 1942 by Hollywood luminaries Samuel Goldwyn, Humphrey Bogart, James Cagney, Gene Kelly, Joan Crawford, Cecil B. DeMille, and the Warner brothers, to leverage the voices and creative talents of the entire entertainment industry to raise funds for vital causes. With the support of actors and executives; guild and union members; and employees of studios, networks and talent agencies, more than $1 billion has been pledged since its inception for EIF initiatives addressing important health, education and social issues. “EIF could not have touched so many lives without the incredible support of the entertainment industry, media partners and countless donors. The organization is proud to serve as an industry resource and looks forward to 75 more years of supporting inspirational and impactful programs that enrich and transform our communities,” said EIF President and CEO, Nicole Sexton. What started initially as an employee charitable payroll deduction plan has expanded into multiple tentpole programs including Stand Up To Cancer, EIF’s major division that has transformed the way cancer research is conducted, and Hunger Is, which benefits children struggling with hunger in America. 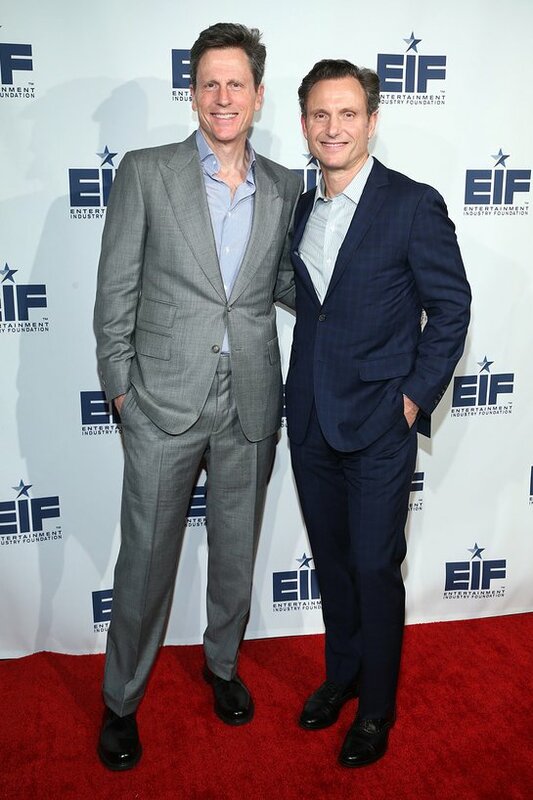 “My grandfather had a vision when he helped found this organization and I know he would be proud to see all the milestones EIF has reached,” said John Goldwyn. At 75, EIF aims to grow its impact in arts education and workplace mentoring by developing programs that will help youth from all backgrounds cultivate and hone their creative skills, providing them with access to industry leaders who will foster and facilitate meaningful learning experiences. The anniversary party included a salute to the Stand Up To Cancer (SU2C) Council of Founders and Advisors (CFA) — in addition to Lansing, Katie Couric, Lisa Paulsen, Rusty Robertson, Sue Schwartz, Pamela Oas Williams, Ellen Ziffren, and Kathleen Lobb — who in 2018 mark ten years of supporting an innovative research model that has brought new, more effective treatments to cancer patients at an unparalleled pace. Members of the CFA, along with SU2C President & CEO Sung Poblete, Ph.D. R.N., were presented with the Samuel Goldwyn Legacy Award for their leadership. Over the past decade, more than $480 million has been pledged, funding 71 team grants, including 22 signature SU2C Dream Teams as well as 46 individual Innovative Research Grants comprising more than 1200 scientists at over 140 institutions in seven countries. The work of SU2C brings real health benefits to cancer patients and has contributed to FDA approvals of five new cancer treatments in record-breaking time. •	In the 1940s, Samuel Goldwyn, Humphrey Bogart, James Cagney, Joan Crawford, and the Warner Brothers, as well as many others, recognized that uniting the resources of the entertainment community could positively impact World War II relief efforts. A “United Appeal” payroll deduction — a first for any U.S. industry — launched with $1 million raised. 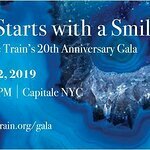 •	Over the ensuing years, the organization engaged celebrity support and raised funds for President Roosevelt’s awareness campaign to eradicate childhood polio. The introduction of the first coronary care ambulance, which became the cornerstone of the LA County Paramedic program, was also funded. •	In the 1990s, EIF’s major inroads in the fight against cancer began. Grassroots fundraising led to “fast track” FDA approval of Herceptin, a breakthrough breast cancer therapy. •	In 2000, EIF and Katie Couric launched the National Colorectal Cancer Research Alliance (NCCRA), a colon cancer initiative focused on funding research and raising awareness of the life-saving potential of colon cancer screening. This work is widely perceived in the colon cancer advocacy community as having contributed significantly to a 30% reduction in the overall colon cancer incidence and death rates in the time it has been underway. 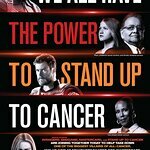 •	In 2008, EIF and several cofounders established Stand Up To Cancer (SU2C) and launched the Stand Up To Cancer telecast, the first pro-active network roadblock of its kind. The show has aired biennially since then. •	In 2009, EIF launched the iParticipate initiative designed to inspire a new era of service and volunteerism. EIF worked with ABC, CBS, FOX and NBC to integrate the message of volunteerism into more than 100 shows during a weeklong television event. •	EIF has also collaborated on disaster relief telecasts such as “Hope for Haiti Now,” “SOMOS UNA VOZ,” and “One Love Manchester” to raise funds to help people living in affected areas. For more information about the history, accomplishments and current initiatives of EIF, visit eifoundation.org.